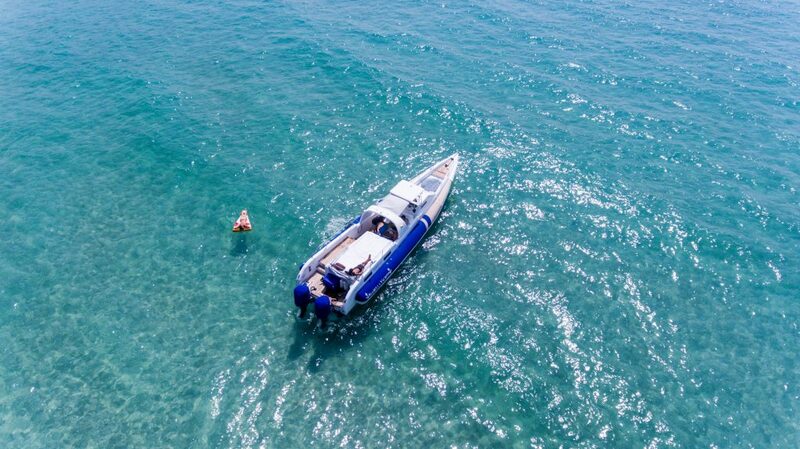 This Interceptor for rent is without doubts our number one boat and best seller for island hopping. 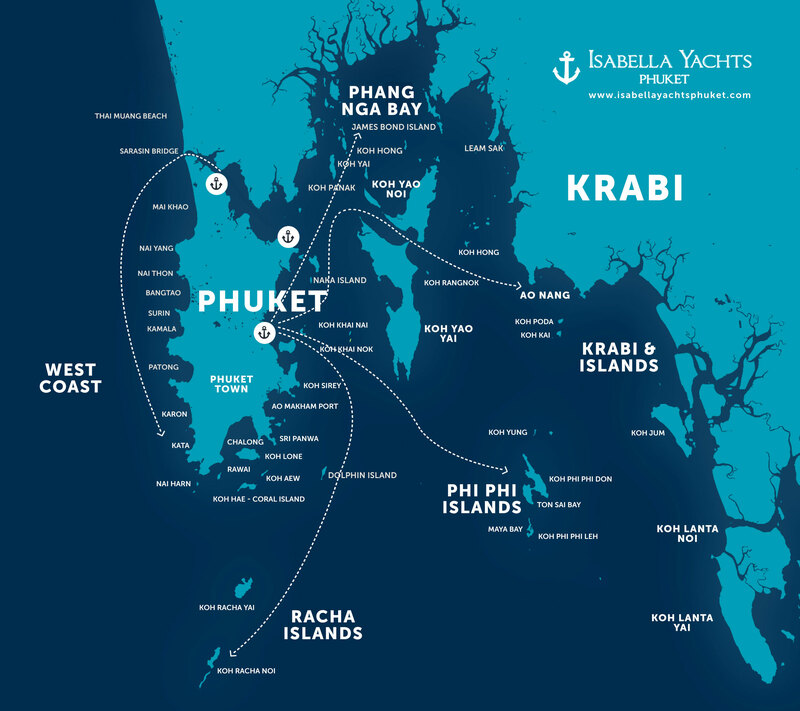 If you only have one day available here in Phuket but wish to see as many islands as possible, then look no further! 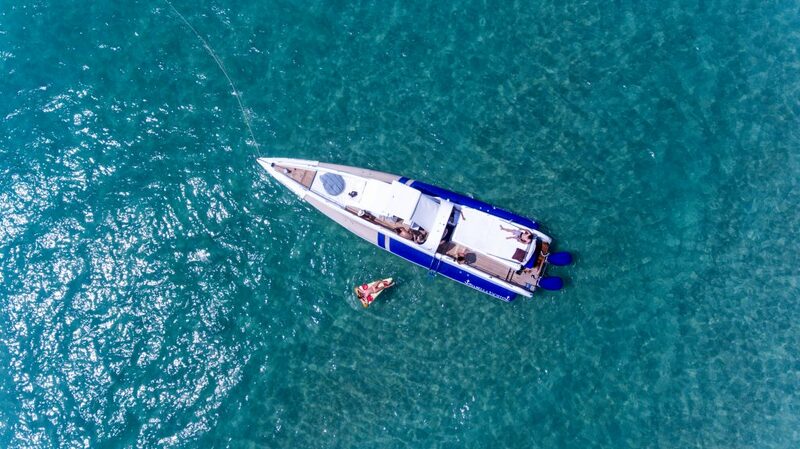 A comfortable 15mt long Italian designed fiberglass boat with two big side tubulars we have installed for extra stability. 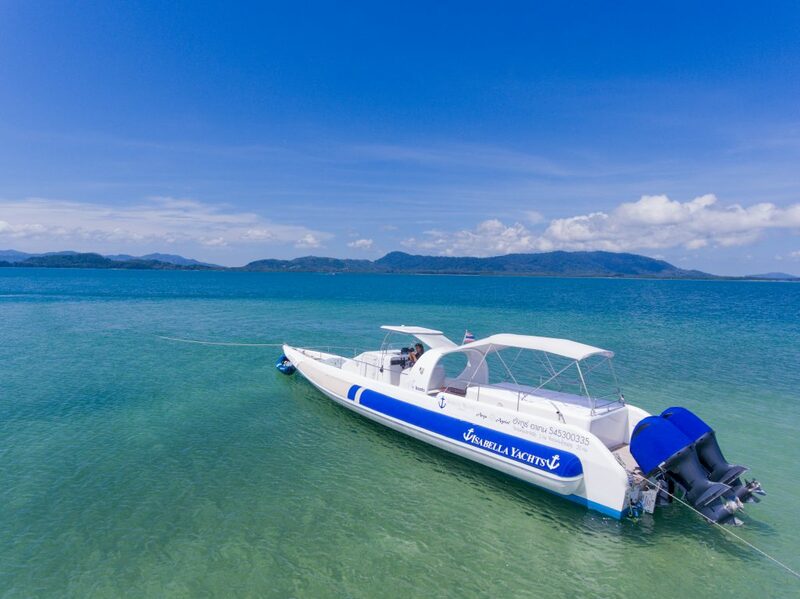 Its twin Yamaha 4 stroke engines 350 hp each, make this private boat safe, fast, but incredibly stable even for families. 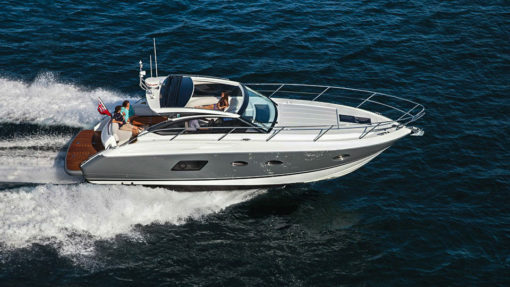 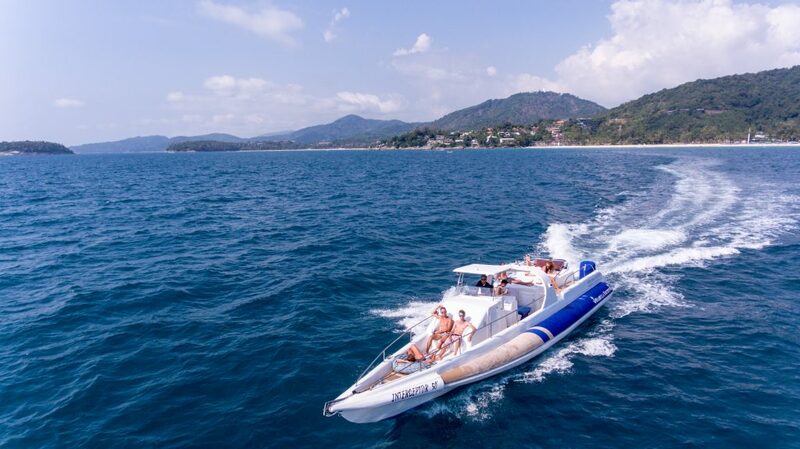 We generally cruise around 24 knots but it has a maximum speed up to 50 knots. 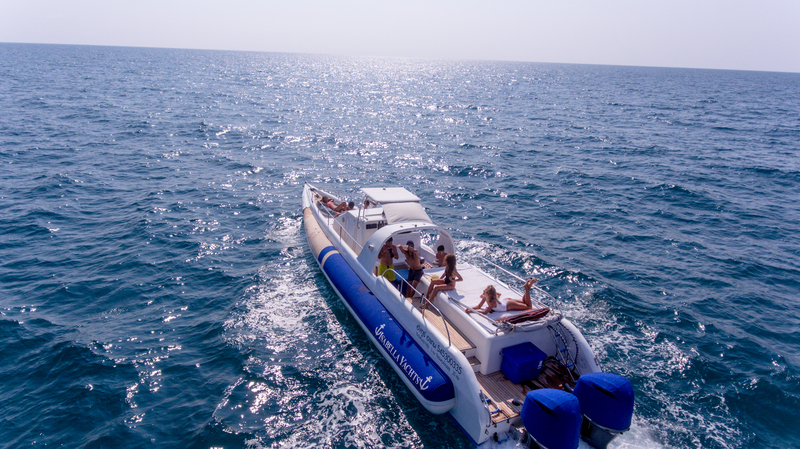 This makes it also a very safe boat for quick transfers between the islands. 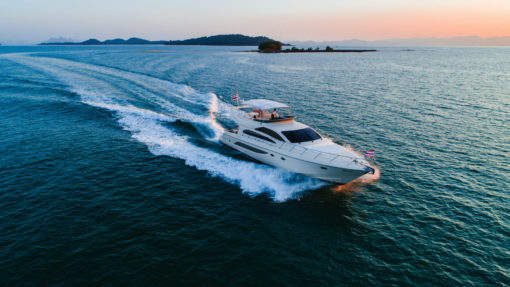 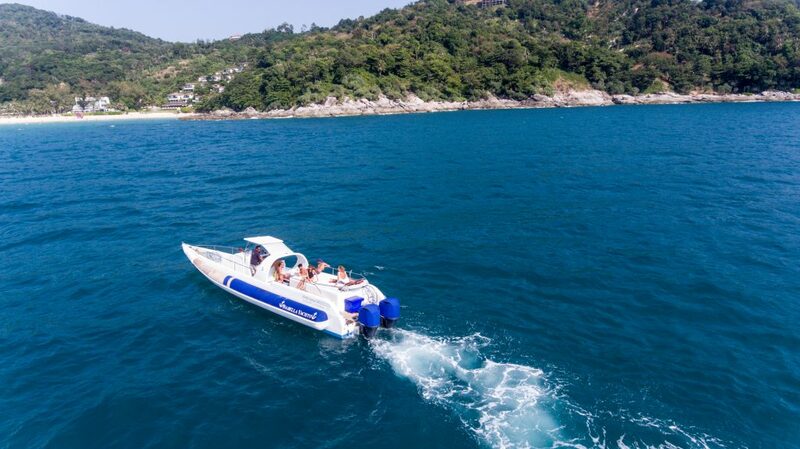 Our Interceptor 50ft can reach all of the most beautiful islands around Phuket for day trips like: Phi Phi Islands, Krabi & Islands, Racha Islands, Koh Lanta, Koh Haa and many more faster than most boats available for charter in Phuket. 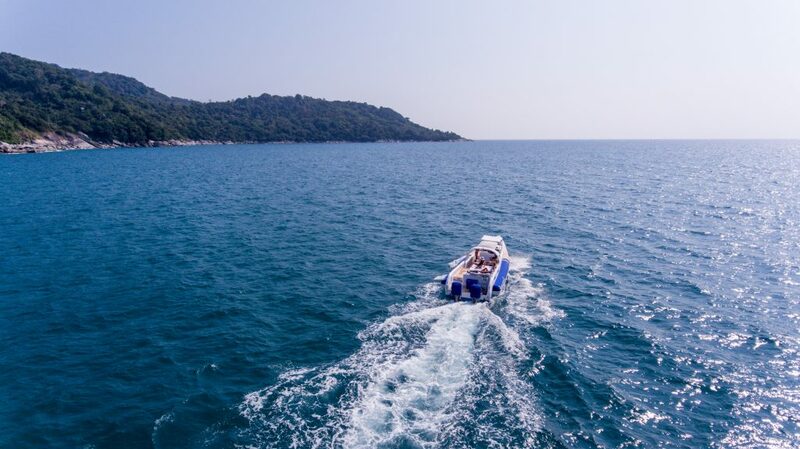 There are two large cabins that can be used for storage and even has a toilet and small shower for our guests onboard. 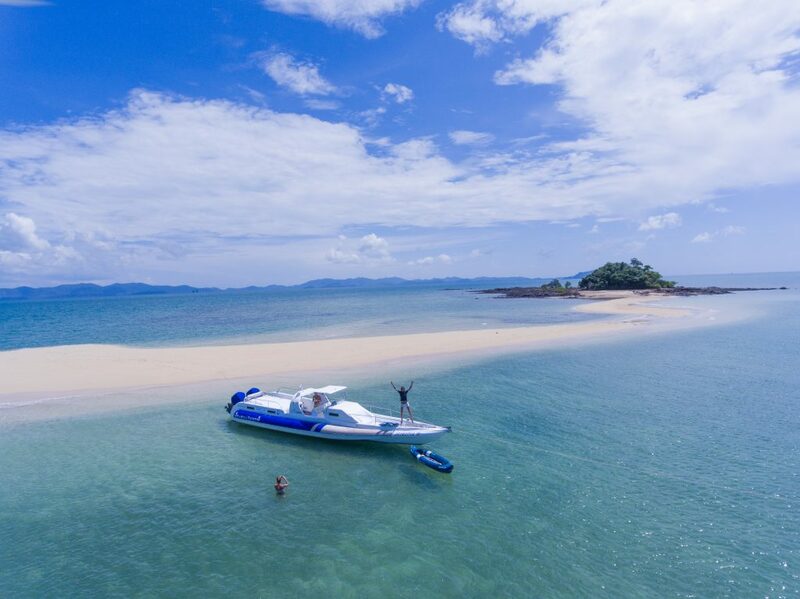 At the front of the boat we have a nice sofa + a very comfortable large bean bag which is ideal for people who wish to work on their tan while cruising between the islands. 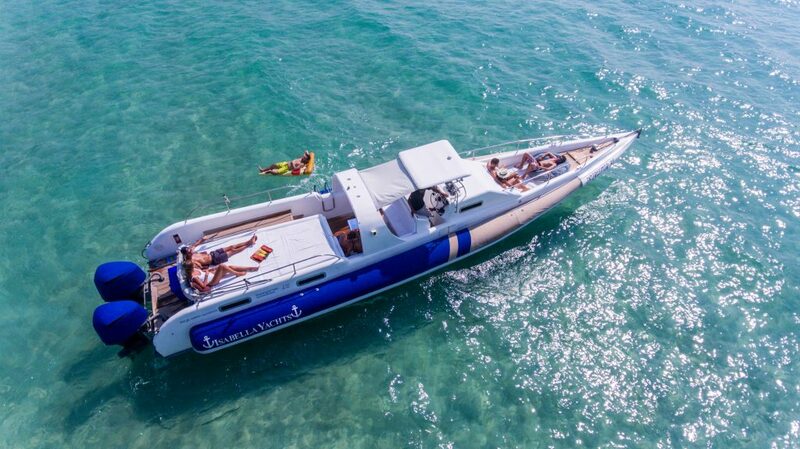 There is a convenient table with seatings under the shaded cover behind the captain’s seat and another very large bed at the back with a big bimini cover for more shaded area as well. 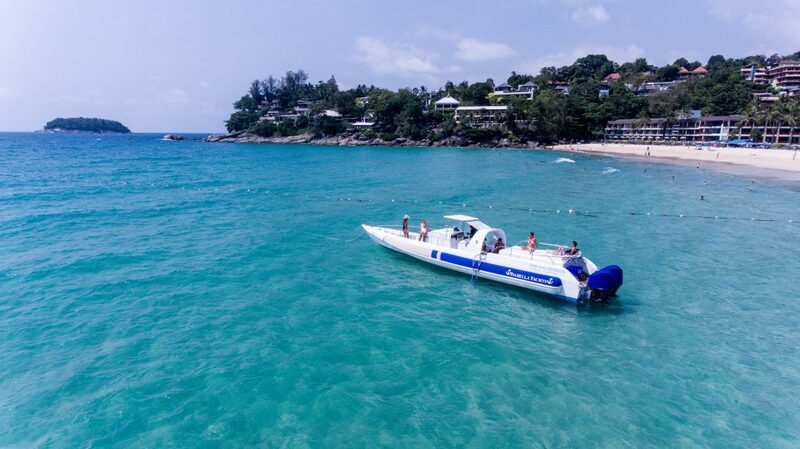 Feel free to pick any drink from one of the very big fridges we have filled up with ice and complimentary drinking bottled waters, wine, beers, soft drinks, fresh coconuts and freshly cut local fruits available for all our guests throughout the entire day. 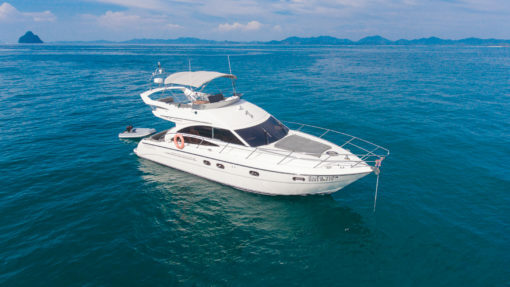 Let our professional crew pamper your friends and family for an unforgettable day around Phuket best tropical islands.